It has been a real adventure training and bringing up my deaf boxer puppy. Nitro and I have had our challenges for sure but we adore each other. When I was looking for resources back when I first adopted Nitro from the shelter, I noticed there wasn't a lot of websites about deaf dogs. I really wanted to connect with other deaf dog owners to get their advice but unfortunately there were very few sites available and most of them dated back to the late 90's. Below is our badge to Deaf Dogs Rock. If you have a minute, go ahead and click on it and check us out. If you know someone with a deaf dog, a rescue or shelter that occasionally has deaf dogs for adoption, please feel free to share our new site with them. What a great new site! 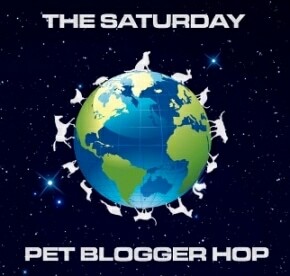 We'd love to have you do a guest post about it for Pet Blogs United. If you're interested, drop us a line at PBU at comcast dot net.